Our 2015 club champ is Pat Mclaverty…..congrats to our club captain. 2 days of calm conditions led to the scoring being a little better then expected. Pat’s gross 34(2 under par for 9 holes) on Saturday afternoon making all the difference, Ryan Dahl was runner up 4 shots behind. Dave Davenport won the B div on 169 gross beating George Peterson by 1 shot. 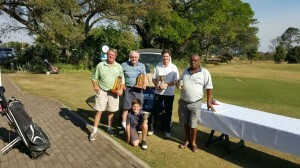 The C div was won by Sipho Masuku on 65 points pipping Nico Ras by 2 points. The ladies champ had the best gross overall on 145…..well played Tanya Lyon. The Junior championship was won by Murray Dahl, nice to see the Junior cup back in play with hopefully a few more entrants next year. It was a fantastic 2 days of golf, I would like to thank all the competitors for taking time out of their busy schedules and supporting the club champs. 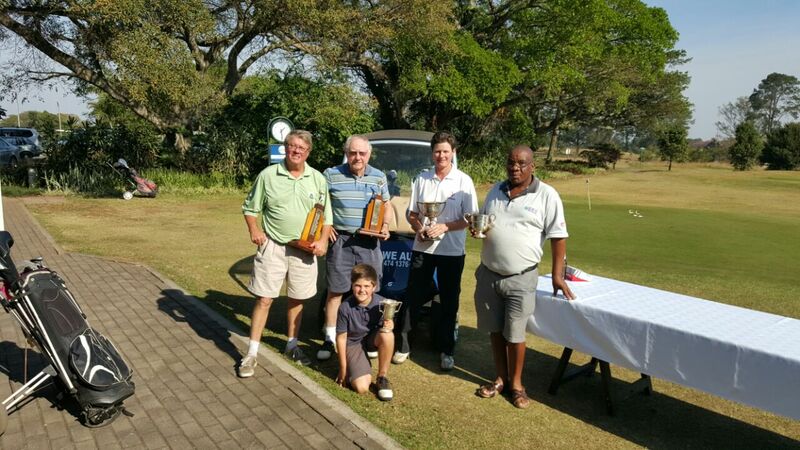 Lastly to Anand and Eshowe Auto for the sponsorship of the tournament. They supplied the meals on Saturday/Sunday and all the prizes. A big THANK YOU!